This is the fourth & final article on Librans! We hope you enjoyed reading about the Librans’ in your life! We would love to hear from you – Leave us a comment! 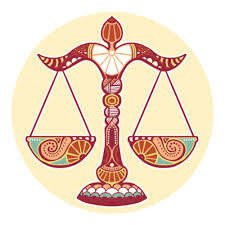 If you are born between 1st Oct -22nd Oct you are a Libran, and ruled by two diametrically opposite planets- Venus and Mars. Whereas Venus makes you peace loving, caring, and easygoing, Mars makes you uncompromising, and competitive. You are somewhere in the middle. Being a Libran you are good looking, attractive, generous, intelligent, romantic, and persuasive. Peace, harmony and justice are of utmost importance to you. The contradictions in your nature will permeate all aspects of your life—your friendships, partnerships, work, your mental attitude etc. The tug-of-war is between the loving, caring, harmony-seeking child of Venus, and the short tempered, independent, uncompromising, and competitive child of Mars. To find peace within yourself you will always be seeking to find the balance between these two sides of your nature, and this striving for balance makes you appear vacillating and unreliable to others. This will hurt you bitterly as the opinion of others matters a great deal to you.